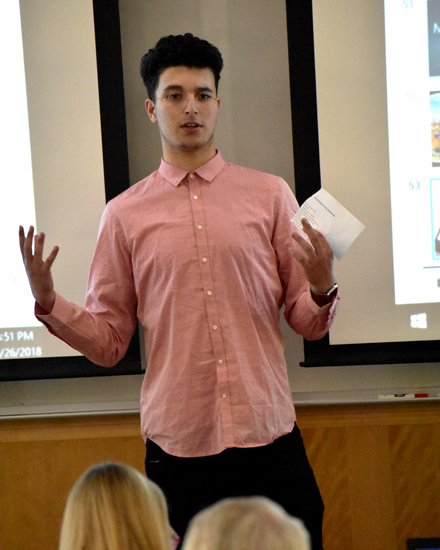 Mohamed Toualbi, a junior computer science major from France, won first place in Southern Utah University’s Business Pitch Competition in October for his idea of creating a campus map app that functions similar to Google Maps. Prior to the contest, students were asked to come up with a business idea and formulate a basic business plan. During the actual competition, students were then given 90 seconds to present their idea to a panel of judges. The top pitches were awarded with cash prizes of up to $1,000 to help fund their business idea. The judges loved Toualbi’s proposal and awarded him the top prize of $1,000 to put towards implementing his idea and creating the app. 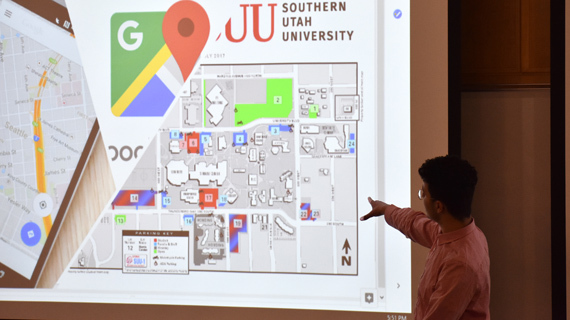 Toualbi will begin by creating the map app for SUU’s campus, then plans to eventually branch out and develop similar maps for various college campuses around the nation. Creating the app may seem like a daunting task, but Toualbi is no stranger to app development. In fact, he currently has four Android apps on the Play Store, one iOS on the App Store & two that are in review. He also founded the Mobile App Development Club this semester at SUU, and has found a passion for sharing what he loves with other people. With the prize money, Toualbi plans to hire a graphic designer to design the graphics and layout of the app, then he will begin developing it and use any remaining money to hire additional developers to help with the creation. You can find Toualbi’s other apps on the Play Store by searching “ToualbiApps”, and in the App Store by searching “Mohamed TOUALBI”.